The Strideline Economy One Press is for the budget conscious customer who still wants a beautiful finished product. A white base with a full color imprint on the exterior of either leg. Each sock starts as a pre-knit base of a white sock with a black heel and toe. 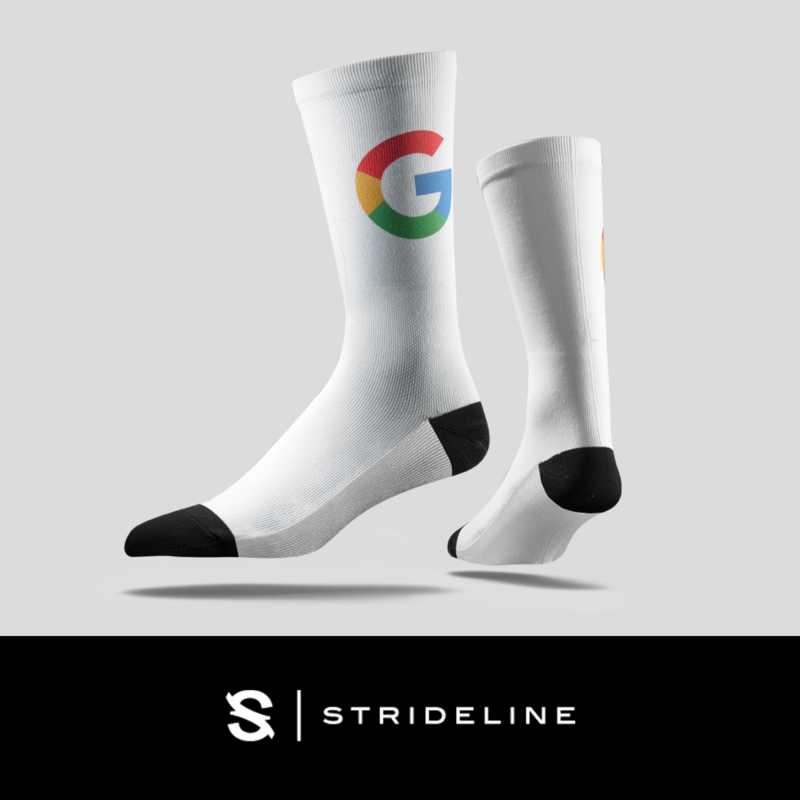 One single full color imprint with PMS color matching on the outside of either sock. Standard packaging for our One Press is a single poly bag. Special packaging available upon request.